Da Poplo is one of Russell Norman group of restaurants. I also went to his Mishkin deli over in Covent garden another post coming soon. Tucked away behind the London’s hip district in Soho. Poplo is described, as a Venetian bàcaro, in other words Cicchetti, is similar to Spanish tapas. You order small plates to share amongst your party. I arrived with my friend late one evening from shopping nearby in Carnaby Street after a 20% off shopping extravaganza event. The restaurant is a very simple wooden tables and exposed bare brick walls. We was seated near the bar, and the waitress was friendly and was gutted she missed the shopping after seeing our stash of MAC cosmetics bags. 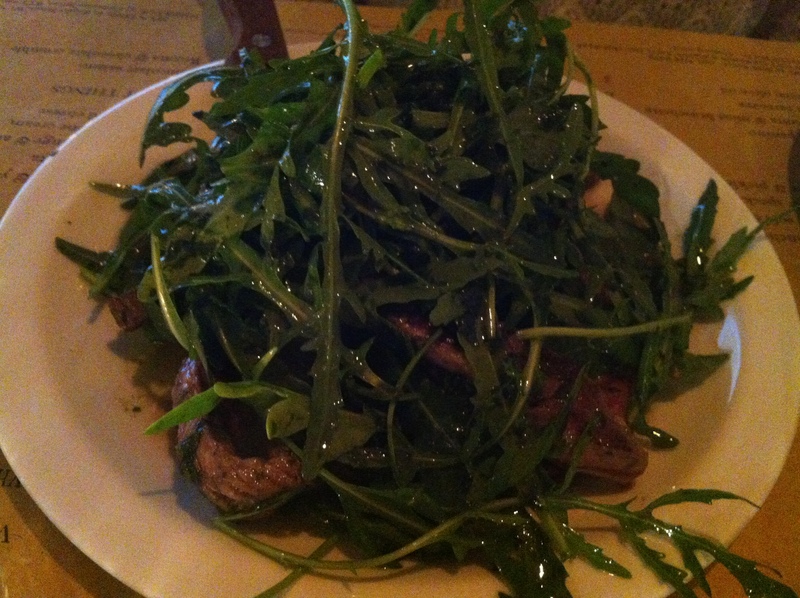 In my mind taps portions are teeny, and the waitress explained the cicchetti concept, ideally we should order quite a few dishes. After much deliberation, we just went for a selection of 3 dishes and believe me; the portions are much bigger then what she made out. 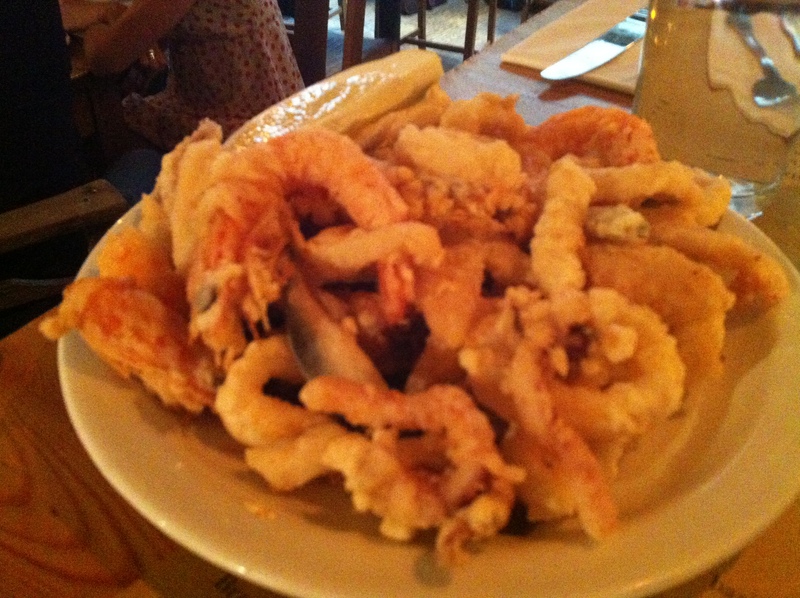 Having seen other blogger reviews I really wanted to try Fritto misto, a savoury deep-fried battered mixed seafood dish. 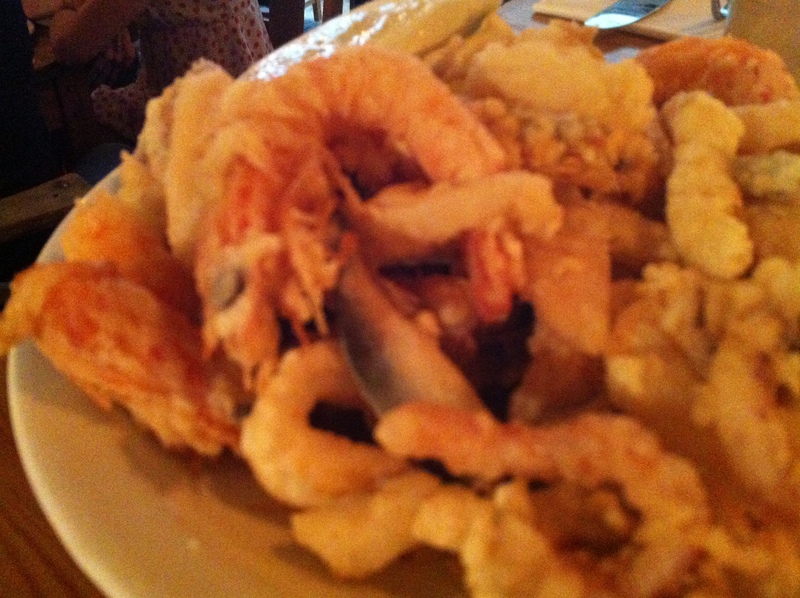 It was fresh and crispy; besides some parts of the dish being overly seasoned salty I really enjoyed it. I ordered this dish out of curiosity as I also fancied meatballs. 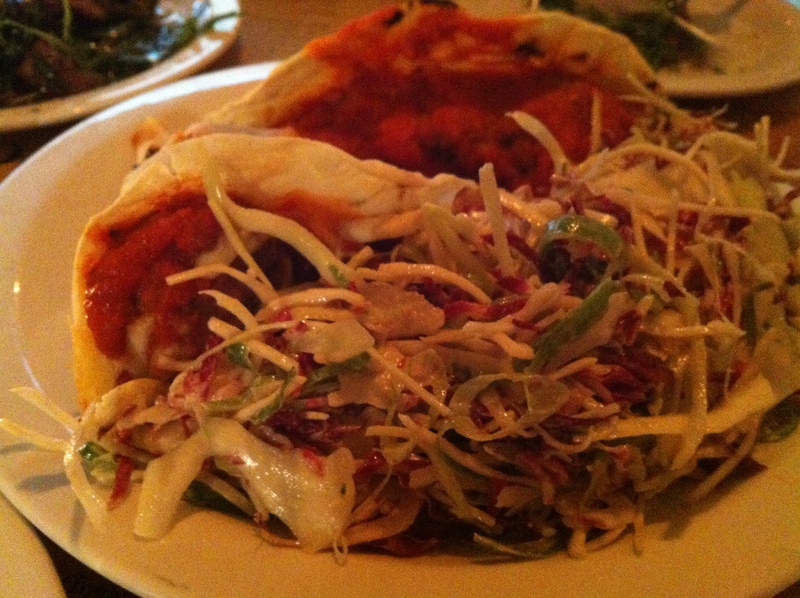 What a surprise, the dish is flat bread filled with hearty meatballs and sauce. You also have the option to choose which meatball you want filled inside, the meatballs was comforting and only managed to eat half the dish. My friend ordered Grilled sirloin steak which she didn’t even finished.